How is your genealogy research and documentation going? 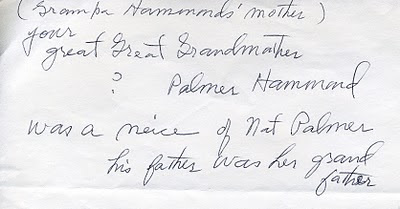 Did last week's genealogical jump start help? 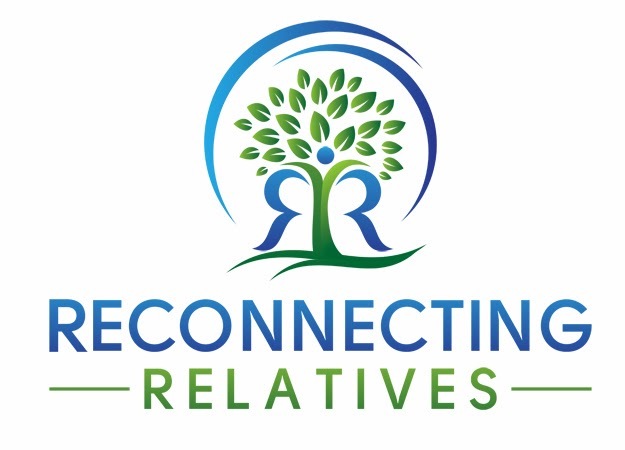 Thank you to Greta Koehl, writer of several great genealogy blogs, for letting me know she has recently been having some trouble staying organized at her house. If you haven't read her post, A Proper Place for Sentiment, you should...now. Go ahead, I'll wait. Back so quickly? 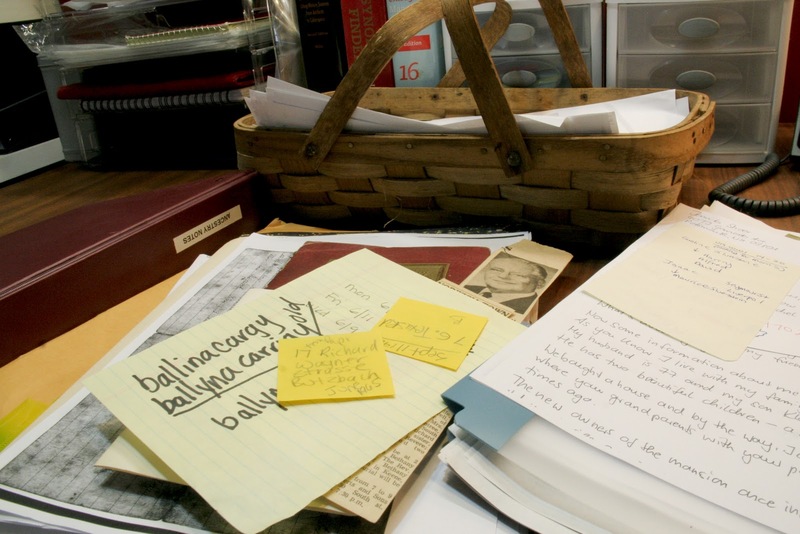 Do you feel motivated to get your important genealogy papers organized? Or, at least off the floor? How about scanned and backed up in a digital format? What happened to Greta could happen to any one of us at any time. With that said, let's get on to part two of this genealogical jump start. If you need to catch up on steps one to three, click here. Before doing new research (and collecting more stuff), let's take stock of what we already have and get it organized by surname. 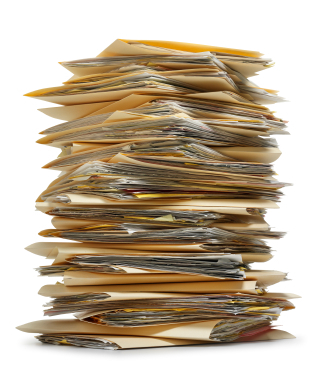 Take a look at your pile of papers belonging to specific people or family lines. Do you have anything that looks like this? If it is in a pile with a bunch of other papers belonging to a bunch of different people, how will you know who wrote it? Worse, how will your descendants know who wrote it? 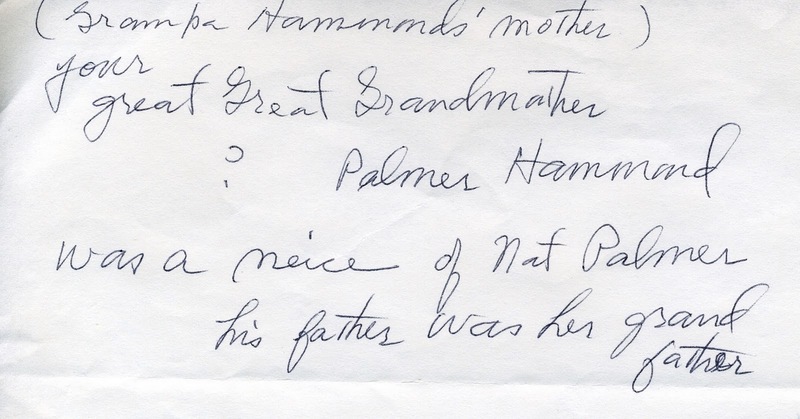 This scrap was found in my grandmother's unorganized papers. She was fascinated by our family history and did what she could, but she did leave behind quite a few envelopes, like the one pictured above. Do you ever catch yourself writing your notes on whatever is available? I never do that. Smirk ;). There are newspaper clippings, addresses, letters, notes, trees, records I have ordered, website print outs, etc. It is small, but it is a microcosm of what someone might have on a much larger scale. If your piles are on the larger size and are residing in totes, just take one tote to start organizing. Folders work for me to keep my loose and undocumented items safe. My files contain a folder for every surname in three different colors; red for my husband's family names, blue for mine and green or aqua for places. 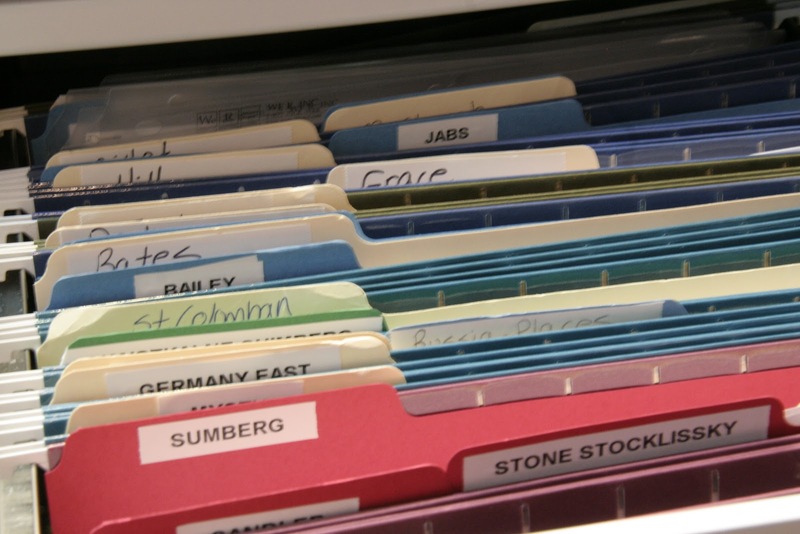 If you are starting a new organization system from scratch, I suggest you sit down with the folders first and label one for each of the surnames you are researching. Then go back to your pile or tote and start filing. Not all of my folders have something in them. This is just the home for papers that I have not yet documented. How long could you work on this project this week? Do what you can, even if it is just 15 minutes a day. We can meet back here next Monday to talk about how we did. Please let me know if you are confused or have any questions. If you find that you get your papers out of the pile or bin and filed quickly, then head over to DearMYRTLE'S Genealogy Blog and click on the organization tab. She helped me back in 2009 to start getting organized and I continue to go back to her organization checklists to refresh my memory. She also has links to all kinds of bins, binders and folders to help you file and sort. While you are there, check out her coffee table surname binders in the January 2011 Organization Checklist. I love them and have a shelf of binders in progress. Next week in Part 3, we will attack your photographs, both old and new. If DearMYRTLE is my genealogy organizing guru, then Stacy Julian of Photo Freedom fame is my photo organizing guru. Her book doesn't seem to be available anymore, so I think I will give my copy to someone who could use it. Look for details to come. Well there is lots to keep me busy this week. Let me know if you found this helpful. PS Check out these links to several helpful articles related to getting your genealogy organized. Sort Your Story by Lorel Kapke announced by Geneabloggers. Great ideas for getting your papers and images organized. Lorel has a developed a product to help. This post will help you with step 1 of this genealogical jump start. 6 Lessons My Cat Taught Me by Dan Curtis. Love it! Several recent posts by Randy Seaver of Genea-Musings. You can find two here and here. He makes glad I was only doing genealogy for a few years before I got organized. Valerie at Family Cherished talks to herself about her file/piles in "Done" with Genealogy! Thank you for the mention and the link! Not only did I have to confront all the stuff in the basement, but a foray into the attic last weekend revealed that I needed to properly store some old cards and mementos that could have been exposed to animal damage. It's sobering how vulnerable our documents can be. Very happy to include the link. It's awful that even those of us who are 'in the know' about what we 'should' be doing have these little areas of vulnerability. A few months ago I found an album and the cards from my wedding in a damp box in our basement. Rescued thankfully, but I had lost track of them and actually thought they had been tossed in a cleaning frenzy. Thanks for sharing.